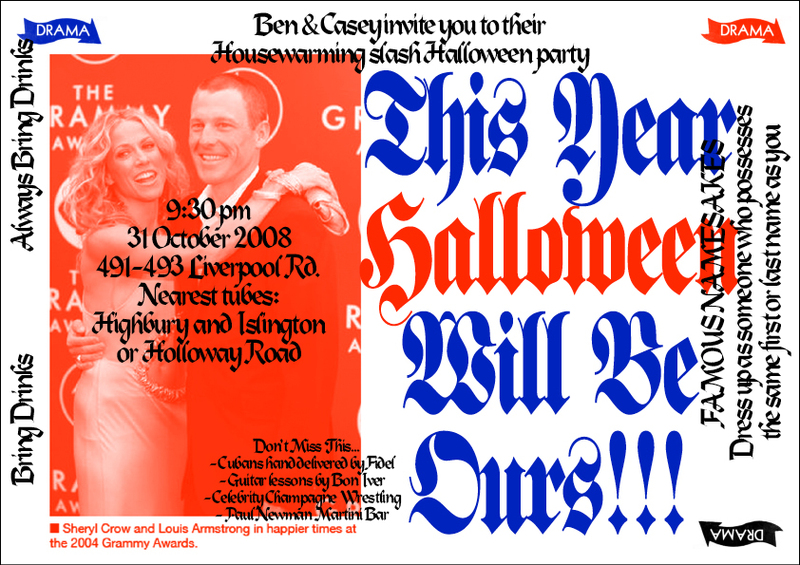 Casey Cohen, who works in marketing and his flatmate Ben, an investment banker came across my birthday invitations on the web somewhere and asked me if I wanted to make an invitation for their upcoming Halloween/Houswarming party. There wasn't much to tell about it really. There would invite about 20 to 50 people and there would be plenty of booze. In reward I asked them to buy me a plane ticket there, so I could come and party with them. I dunno if I'll ever make it to that party, and that's okay, I mean, how can you say no. I just thought it was so sweet, besides, I'm always up for supporting a good party.